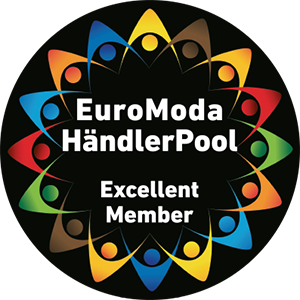 We are delighted that you have visited the website of EUROMODA Neuss and thank you for your interest. The protection of your personal information is very important to us. The text below describes the collection of personal data during your visit to our website. Personal data includes all data that can be associated with your person: e.g. name, address, email addresses. Pursuant to Art. 4 Para. 7 of the EU General Data Protection Regulation, GDPR,, the EVG Entwicklungs- und Verwaltungsgesellschaft für Geschäfts- und Freizeitzentren mbH, Anton-Kux-Straße 2, 41460 Neuss, email Verwaltung@euromoda-neuss.de, is responsible for data protection (see the site notice). IP address; date and time of the request; time zone difference to Greenwich Mean Time GMT); content of the request (specific page); access status/HTTP status code; respective quantity of data transferred; website from which the request was made; browser, operating system and its interface; language and version of the browser software. None of this data is merged with other data sources. When you make contact with us (for example by email), your information is stored for the purpose of processing your request and in the event that there are follow-up questions. We delete the data associated with this process once its storage is no longer required or restrict its processing if there are statutory retention obligations. By providing your consent you may subscribe to our newsletter. To register for our newsletter, we use what is known as the double opt-in procedure. This means that we send an email to the address you specify when you register to ask for confirmation that you wish to receive the newsletter. When you register for the newsletter, we store the IP address you use to do so and the time of registration and confirmation. This data is retained solely as evidence in the event that a third party abuses an email address and registers to receive the newsletter without the knowledge of the entitled owner. After we have received your confirmation, we store your email address for the purpose of sending you the newsletter. The legal basis is Art. 6 Para. 1 (1) letter a, GDPR. You can revoke your consent to receive the newsletter at any time and thus unsubscribe to the newsletter. You can send this revocation via a link in the newsletter itself or by sending a message using the contact details provided above. This website contains links to other websites (known as external links). According to applicable European and national legislation, as a provider we are responsible for our own content. Our own content is to be distinguished from links to the content of other providers. We have no influence over whether the providers of other websites comply with the applicable European and national laws. Please refer to the data privacy statement for the relevant websites for more information. We assume no responsibility for external content provided for use via the links and that is specifically highlighted and do not claim the content of these websites as our own. Legal liability for illegal, erroneous or incomplete content and for damages that occur as a result of use or non-use of the information lies exclusively with the provider of the linked website. Currently, we use the following social media plug-ins: Facebook; Instagram. We use what is known as the two-click solution with these. This means that if you visit our website, initially no personal data is forwarded to the provider of the plug-in. The provider of the plug-in identifies you using the highlighting in the box over its initials or logo. We offer you the opportunity to communicate directly with the plug-in provider via the button. The plug-in provider only receives the information that you have accessed their website if your click on the highlighted field. In addition, the data listed above in Point 1 is transferred. Activation of the plug-in thus sends this data from you to the respective plug-in provider and stores it there (in the US for American providers). We have no influence either on the data collected or the operations for data processing, nor are we familiar with the full extent of the data collection, the purpose of data processing or the data retention periods. We also have do not have any information about deletion of the data collected by the plug-in provider. The plug-in provider stores the data collected about you as a user profile and uses this data for the purpose of advertising, market research and/or demand-oriented design of their website. This kind of analysis is made in particular (including for users who are not logged in) to present demand-oriented advertising and to provide other users of the social network with information about your activities on our website. You have the right to object to the creation of a user profile; to exercise this right you must contact the respective plug-in provider. We use plug-ins to offer you the opportunity to interact with social networks and other users so that we can improve our services and make your user experience more interesting. The legal basis for the use of plug-ins is Art. 6 Para. 1 (1) letter f GDPR. Data transfer takes place regardless of whether you have an account with the plug-in provider and whether you are logged in there. If you are logged in with the plug-in provider, the data we collect from you is assigned directly to the account you have with the plug-in provider. If you click on the activated button and, for example, link the page, the plug-in provider will store this information in your user account and publicly share it with your contacts. We recommend that you regularly log out of your social network accounts, in particular before activating this f button, so that you can avoid the association of your profile with the plug-in provider. Upon request, you have the right to obtain information about the personal data stored in relation to you, free of charge. Furthermore, you have the right to correct inaccurate data, to restrict processing of your data, to object to processing of your data and to data portability, and also the right to block and delete your personal data, provided there is no legal obligation to retain this data. Moreover, you have the right to lodge a complaint with a data protection supervisory body about the processing of your personal data by us. We reserve the right to change our data privacy practices and this statement to adapt them as necessary to amendments of relevant laws and regulations or to better meet your needs.